This is where the magic of design iteration happens, right here in the GDD. If you haven’t seen the pitch video yet you should. 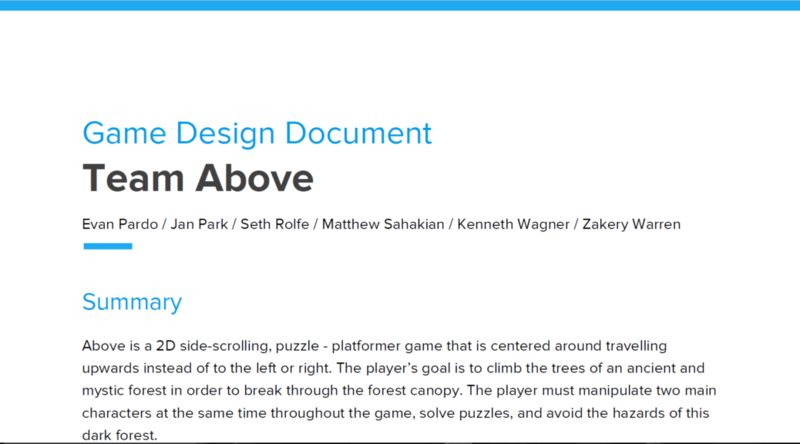 After watching it come take a look at this document and you’ll see how much our ideas have evolved and how everything we’ve designed has come directly from the core vision of the game.